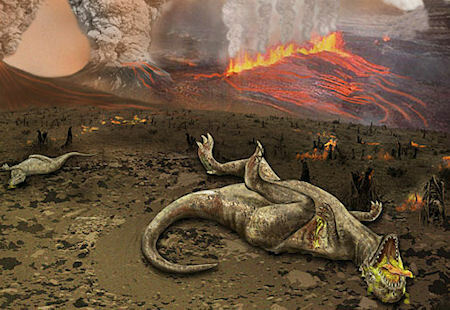 Dinosaurs gradually began to die out at least 40 million years before the devastating asteroid impact killed the rest in a dramatic way about 66 million years ago, according to a study outlined in the journal Proceedings of the National Academy of Sciences. Most dinosaur populations were already declining as early as 48–53 million years before the asteroid impact. The data provides evidence that things went from really bad to worse for most dinosaurs that did not evolve into birds.